One year ago, I wrote a paper for Culture and Disability, an elective course in my Anthropology program. I took this course because, as you probably noticed by now, I am very interested in the history of medicine (and in medical anthropology as a whole), in particular in the Japanese history of psychiatry and its relation to culture. For this course, I chose to write about Hansen’s Disease, which had (and has, to some degree) been a controversial topic in Japan. You can read about the history of leprosy in Japan in this post. While researching Japanese policies on Hansen’s disease I stumbled across the genre of leprosy literature. I felt that this topic deserved more attention, so here is a short introduction to the genre. From 1909 until this day, Hansen’s disease patients residing at leprosaria have produced a considerably large amount of literary works. The Collected Works of Hansen’s Disease Literature that is being published from the year 2002 on, covers thus far leprosy literature up to 1965 but counts already 10 volumes of each around 550 pages. Leprosy literature (rai bungaku 癩文学or hansenbyō bungaku ハンセン病文学) can be described as prose, essays and poetry on the topic of leprosy by leprosy sufferers, a unique phenomenon in its kind, since no other literary genre exists in Japan named after a disease. It is important to note that this excludes stories in which leprosy plays a role, but is not written by patients themselves. During the 1930s for example, Japanese people were fascinated by this phenomenon of leprosy, illustrated by the many whodunits in which not the murderer but the ‘leper’ who had infected the protagonist, had to be unmasked (Burns, 2004). More highbrow literature used leprosy as a metaphor for an inevitable fate. Neither of these genres centered around the experiences of the Hansen’s disease patient him/herself. On the contrary, such stories often encouraged the stigmatizing ideas about leprosy patients at that time. Literature written by patients, on the other hand, focused strongly on the psychological impact of being diagnosed with leprosy and the pursuit of happiness once inside the leprosarium. Furthermore, leprosy literature is characterized by a particular style of writing. Traditional Japanese poetry such as haiku and tanka was often preferred over other literary genres since it was accessible in structure, allowed to convey personal feelings anonymously, and was usually composed in a collective setting (Tanaka, 2013). The establishment of poetry circles inside the leprosaria generated a feeling of belonging and community. Hence, literature produced by isolated leprosy patients can be regarded as an expression of a disability culture. However, leprosy literature should not be considered as the literary materialization of right-based movement ideology or outside of the context of the isolation policy. “For some patients, an escape from social stigma and the sense of duty to the nation was a source of happiness. For others, they chafed at the forcible quarantine and life in the hospital. In their poems, the process of translation is a more complex process (Tanaka, 2013: 114)”. Burns (2004) points out that leprosy literature was not exclusively directed against the system of institutionalization; on the contrary, the institution itself was actively involved in the production of residents’ literature. Already in the 1930s, every leprosarium had its own journal which contained, besides reports and announcements, prose and poetry written by patients. Hence, the journal circulated mainly inside the leprosarium and was seldom read by ‘healthy’ people. This changed when leprosy patient Hōjō Tamio published a series of short stories with the recommendation of famous writer Kawabata Yasunari in a well-known literary journal. Intra-leprosarium competitions were also held, and these attracted exceptionally the attention of ‘outside’ readers. Tamio was diagnosed with Hansen’s Disease at the age of 19. Tamio’s work “the first night of life” about his own experiences with leprosy. Burns further argues that the encouragement of literary output by the Japanese authorities was a political strategy to promote the system of institutionalization. This places leprosy literature in a context of propaganda and self-censorship; through his or her own literature, the system created “a citizen who was willing to be hospitalized for the good of the nation, with every effort aiming for the eradication of the illness from the Japanese social landscape (Tanaka, 2013: 102)”. In other words, a cultural identity did not only emerge from among the patients themselves, it was also mediated, reshaped and encouraged by the authorities in favor of an isolation policy. Especially the portrayal of the leprosarium as a place in which patients could rediscover the meaningfulness of life, served to assure both leprosy patients and ‘healthy’ people of the leprosarium’s usefulness. Leprosy literature is indeed a unique genre that emerged from personal experiences intersecting with the social and political climate in Japan at a given point in history. All elements in the story of Japanese Hansen’s disease patients have contributed to the formation of this specific genre, which can thus be identified as an expression of disability culture. To finish, I introduce you to an example: this short poem (tanka 短歌) below was printed in a 1927 pamphlet and written by patient Kanemaru Yūichi. It appeared in translation in Tanaka (2013), but here I provide my own translation. For more poems, click on the link to read Tanaka’s article and translations. Burns, Susan L. “Making Illness into Identity: Writing ‘Leprosy Literature’ in Modern Japan.” Japan Review 16 (2004): 191–211. Tanaka, K. M. “Contested Histories and Happiness: Leprosy Literature in Japan.” Health, Culture and Society 5, no. 1 (November 15, 2013). It has been a while, but in this post I would like to share another part of my (previous) Master’s thesis on mental health stigma with you! If you are new to this series of blog posts, feel free to check out part 1, 2, 3, 4, 5, 6 first before getting into this one. Part 7 will discuss interpretations of madness through fox possession and other cultural constructions, while paying attention to the introduction of modern medicine and the social changes in the perception of mental health this brought along. Fox possession (kitsunetsuki 狐憑き) became the most valid and prevalent explanation for mental disorders in the Edo period, supplemented by badger (tanuki 狸) and goblin (tengu 天狗) possession. In contrast to possession by demons (mono no ke) and deities (kami), as had been common during the Nara and Heian period, foxes underwent a cultural emancipation and started to play a major role in a “world where fox possession was a matter of course” from the early 17th century on. Lafcadio Hearn recorded this phenomenon in detail in his work Glimpses of Unfamiliar Japan. Goblin foxes are peculiarly dreaded in Izumo for three evil habits attributed to them. (…) The third and worst is that of entering into people and taking diabolical possession of them and tormenting them into madness. This affliction is called “kitsune-tsuki.” Strange is the madness of those into whom demon foxes enter. Sometimes they run naked shouting through the streets. Sometimes they lie down and froth at the mouth, and yelp as a fox yelps. (…) It not infrequently happens that the victims of fox-possession are cruelly treated by their relatives—being severely burned and beaten in the hope that the fox may be thus driven away. Then the Hoin or Yamabushi is sent for—the exorciser. The exorciser argues with the fox, who speaks through the mouth of the possessed. When the fox is reduced to silence by religious argument upon the wickedness of possessing people, he usually agrees to go away on condition of being supplied with plenty of tofu or other food[.] (…) For all these reasons, and doubtless many more, people believed to have foxes are shunned. Inter-marriage with a fox-possessing family is out of the question; and many a beautiful and accomplished girl in Izumo cannot secure a husband because of the popular belief that her family harbours foxes. (…) Very strong men are believed to be proof against all such goblinry. From this account, we learn that the possessed, although not personally blamed for their condition, were sometimes treated cruelly and faced discrimination even after recovery. Similar to mono no ke and monogurui, fox possession involves an external, evil source invading the body and dominating it from the inside, thus driving it mad. Moreover, it was believed that a lack of physical strength facilitates such afflictions. Fox possession was viewed as the cause of eccentric behavior, unnatural death, disappearances, fleeing the village, transformations and other actions regarded as “madness”. Other, often bizarre stories of fox possession are mentioned in countless Japanese works from the late Edo period, such as in Ear Bag (Mimibukuro 耳嚢), Anecdotes from the North Window (Hokusōsadan 北窓瑣談) and Kokutensago (黒甜瑣語). Moreover, the kitsunetsuki theory was still supported by physicians: in Evening Talks of the Kasshi-cycle Year (Kasshiyawa 甲子夜話), a doctor witnesses a fox haunting a woman and threatening to kill her, while in Shunparōhikki (春波楼筆記), the medical treatment of a possessed patient is described. Nevertheless, some physicians were skeptical about the assumed spiritual origin of “madness” and suggested that perhaps it could be regarded as some kind of illness. The author of Ear Bag lists several anecdotes involving fox and badger possession but did not leave the impression of believing the stories himself. Kagawa Shūtoku香川修徳 wrote in Ippondō Gyōyoigen (一本堂行余医言, op. posth. 1807): “That which is commonly called fox possession is always the symptom of a mania (kyōshō 狂症); it is not the curse of a fox or badger. Only once or twice in hundred, thousand cases they are really possessed by a fox”. The Accounts of Official Business 御用留帳 (Goyōdomechō, 1703-1867) in Moriyama, Michinoku, give various descriptions of incidents involving “mad” people, but recognizes in most cases their “madness” as an illness or as a result of intoxication (shukyō 酒狂). There are, however limited, still examples of “madness” interpreted as fox or spirit possession. In short, the new interpretation of “madness”, instigated by the venue of medical science, did not yet fully exclude the traditional perception of fox possession. On the contrary, both concepts were complementary because they were regarded as the cause for completely different symptoms – a comprehensive idea in the modern sense like “mental disorders” was not yet developed. In the medical books of the Edo period, we find descriptions of spirit possessions interpreted as jasui 邪祟 (“evil curse”). Hence, fox possession was only rejected as a wrong and superstitious interpretation of “madness” from modern times on. Jozef Guislain from Ghent specialized in the humane treatment of the mentally ill. The introduction of western medicine by the Dutch (ranpō igaku 蘭方医学) brought along the notion of an interior pathogenesis, in contrast with the traditional belief that “madness or other illnesses were caused by the addition of something exterior, similar to injuries or intoxication”. The idea that consciousness, and therefore the cause of “madness” is situated in the brain, as suggested by the Dutch, was revolutionary. It also complicated treatment, since the usual exorcism was deemed not appropriate anymore to cure mental afflictions. In a medical context, jasui was no longer “the subject of shamanistic treatment but took meaning as an action approached from a doctor’s standpoint”. Once the evil was removed, the patient could return to his state as before the possession. “Madness” was something superfluous that did not originate from the afflicted person himself and could easily be removed. As a result, those who were or had been possessed by evil spirits were not regularly the subject of social stigma, although it must be said that some faced cruel treatment that was directed toward the fox “inside” them. This is in contrast with “madness” later defined as a “mental illness”, whereby “the existence of the patient himself was the foundation on which the mental originated; not only did this relate to the moment when the illness manifested itself, its time-axis was to be traced back to the patient’s past”. Even with a gradual development of psychiatry, doctors kept struggling to give a clear explanation for mental diseases, whereas a curse or possession had provided cause and meaning for “madness” in se. “Madness” grew highly personal, and provoked stigmatizing attitudes claiming that the patient himself was at fault or that mental disorders were untreatable. Well hello there, it’s been a while! Time to bring Nippaku back to life and disclose what I have been up to during these blog-less months. On September 14th, I started my internship journey in Minamata 水俣市, Kumamoto prefecture in central Kyushu (in the South of Japan). As a Japanologist doing an advanced Master’s program in Cultural Anthropology and Development Studies, it was only natural that I chose Japan as my destination for a two-month internship with a local organization. Since one of my other interests is sustainability, I sank my teeth into the sustainable development of rural Japanese areas. I started looking for possible topics, et voilà, I came across jimotogaku 地元学, or ‘local learning’ in translation. I promise to tell you all about jimotogaku once my research is more or less wrapped up (aka when I have finished my thesis), but for now I will provide some pictures and explanation about Minamata. I arrived on September 15th in Fukuoka, from where I took the shinkansen to Minamata and was picked up by my host and his granddaughter. The host family I stayed with is located in Susubaru 薄原, a small village in the mountains of Minamata with a decreasing population of around 100 inhabitants at the moment. Farmland in Japan is located on hills and mountains while urban areas are developed on plains. This is the complete opposite in Belgium: farmland, literally “flat land” (platteland in Dutch) encloses densely populated cities. It became a running joke when I told them that the highest Belgian mountain, Signal de Botrange, barely reaches 700 metres – a height they would not even consider worthy of the term “mountain”. Takeyama 竹山, “bamboo mountain”, property of my host family. I regularly helped out by cutting and chopping trees, burning wood and repairing the fence. In Susubaru, we were surrounded by a mixed forest of cypress and chestnut trees amidst sky-scraping bamboo, and everything was still lush green at that time. Due to heavy rainfall and the subtropical climate, nature is difficult to keep under control, and locals could spend a great deal of their time trimming weeds, chopping wood or clearing the roads. The forests and fields are regularly trampled by wild boar, who come down from higher up in the mountains every night and snack on fallen fruit such as persimmons and chestnuts. Farmers protect their fields with electrified fences. Apparently, these animals also hate the color pink, so occasionally I could spot flashy pink wires. Besides wild boar, there are also deer (I could hear their cry from time to time) and raccoon dogs, and the air is always buzzing with insect sounds. Luckily, I brought my ear plugs to guarantee a quiet night of sleep. The city of Minamata itself has a troubled history, which was partly the reason why I went there. Starting out as a fairly insignificant coastal but mountainous village, the city’s population boomed with the arrival of Chisso, a chemical company, in 1908. At the time it all went wrong, Chisso employed or indirectly affected the livelihoods of 25% of Minamata’s inhabitants: the exponential population growth (twice the size of today’s population) paralleled Chisso’s increasing output. This was one of the reasons authorities were reluctant to stop the disaster at once: it was a dilemma of helping a few victims or helping all people in the city to make a decent living. So what happened? Between 1932 and 1968, Chisso – consciously – dumped toxic waste water containing mercury in the Minamata bay and the inland Shiranui sea. Bacteria in the water transformed it into methylmercury when they came into contact with the toxic substance. Once consumed in large doses, directly or by eating the fish that had ingested the methylmercury, the substance causes neurological damage, going from muscle weakness to paralysis and death. The disease is also congenital, which means that unborn children can be exposed to methylmercury poisoning in the womb. Until this day, there is no cure, only drug therapy to reduce symptoms and the pain. For more in-depth information, watch this movie by SciHow [English] and original footage here [Japanese]. The first signs of mercury poisoning were observed in “dancing” cats and birds who couldn’t fly, and dead fish that washed ashore. In 1956, a girl with strange symptoms was brought to the factory hospital. Many more would follow, with an alarming high mortality rate. It was discovered that the mercury had accumulated in fish and shellfish, the main source of nutrition for fishing communities in Minamata. The condition was coined “Minamata disease”. Despite the fact that it became pretty clear it was Chisso that had caused so many living beings to suffer at the end of the 1950s, the company did anything it could to not be held responsible – and was helped in doing so by the authorities out of economic interests. They started discharging wastewater directly into the Minamata river instead of the Hyakken harbour, which led to even more pollution, and they did not cooperate with the research. Finally, in 1968, they stopped poisoning and killing people, but not before hiring yakuza to beat up protesting victims. In the end, Chisso paid hundreds of millions of Yen in compensation money. But yes, the factory is still there, renamed as JNC, among the many other branch plants they hold around the country. Minamata’s dark history is linked with how the jimotogaku movement came into existence, but later more on that. At the time of the pollution scandal, Minamata was in full chaos. Victims’ families were enraged with Chisso, Chisso employees were enraged with patients (this contradiction occurred even within families), city people thought patients were faking it to get compensation, the mountain communities held a grudge because they could not sell their products anymore due to stigma…Today, the stained image of Minamata might still affect how people think about the city. In the aftermath of the pollution scandal, inhabitants of Minamata were strongly discriminated against: somehow, people thought the disease was contagious or that they had brought it upon themselves. They could not sell products, work outside of the city or marry non-Minamata citizens. When the train passed Minamata, travelers closed the windows. The staff at a hotel was ordered to throw away the linen of a group of Minamata school kids on a trip. One man told me that he went with his team to Fukuoka to play a baseball match, and that the arena was empty because not one supporter wanted to be in the vicinity of Minamata residents. From the 1980s on, tremendous efforts have been made to clean up Minamata’s image, leading to great results. Minamata profiled itself as an environment-friendly city when they adopted the ISO 14001 environmental management standard and became an Ecotown in 2001. Remarkable actions are the establishment of a strict 21-item recycle system, the Meister Program for local producers of healthy, safe and organic products, an eco-shop certification for craftsman and the reduction of waste in general. Knowing that Japanese people love food and deeply value safety, I noticed that people especially appreciate organic products since these are safe and healthy to eat. The Meister Program recognizes 32 “Meisters” of which I had the pleasure to meet and even befriend some. The Matsumoto family (桜野園 Sakura noen) and the Amano family (天の製茶園 Amano no seichaen) are two producers of organic tea in Minamata. Both housing three generations in their homes, they produce a rather rare kind of tea, Japanese black tea (和紅茶 wakōcha), among the more generic green and roasted tea. As a matter of fact, Amano Hiroshi and Matsumoto Kazuya are two of the four Japanese black tea “kings” in Japan, and they sell worldwide. I was so lucky to try Matsumoto teas on several occasions and received a guided tour around their tea fields. I was also welcomed for four days at the Amano tea farm in Ishitobi, a hamlet located 600 meters high, where I helped the family out with sorting bancha tea leaves. I learned that the reason for only producing naturally grown tea there is because of the position of the Amano’s farm on top of the mountain. Due to the pollution scandal, awareness had been raised that contaminating something as precious as water is the worst thing you could do to yourself and other people since you are responsible for the source of the irrigation that flows into other people’s wells and fields. It was also very interesting to see how the drink is made from plant till cup. Bringing back home literally tens of tea packages, I must admit I drink more tea than ever (tea related blog posts here and here). Better than too much coffee or soda, right? Minamata people also eat lots of white small fish from the bay (safe to eat now), mikan-oranges that are grown more upward the hills (organic mikan jam in the picture left below) and local specialities like kuri 栗 (chestnuts), satoimo 里芋 (village potato), akebi アケビ (chocolate vine, right picture) and take no ko 竹の子 (bamboo shoots). I ate several portions of chestnuts for dessert, they are delicious when boiled till soft and sweetened with sugar and red bean paste. Below in the middle you see a picture of cooked chestnuts, also great as an afternoon snack. Those who are familiar with Japanese culture, know how fascinated/obsessed the Japanese are about food. Hence, the local cuisine was a topic that came up multiple times a day. Locals are really proud of the healthy, traditional meals they serve with home-grown ingredients. Another (organic) asset for Minamata is rice. Being the staple food of Japan, it is unthinkable that the mountains of Minamata would lack the numerous rice fields and terraces a rural area is characterized by. Traditionally, every household has their own rice paddy, which produces enough rice to provide for the whole family plus a little extra that can be sold on the local market. Farmers who specialize in rice are rather rare. Nevertheless, familial rice fields are increasingly abandoned due to depopulation, draught of the irrigation system and lack of labor force. When I arrived in Minamata, the rice plants were already bright yellow. Once they turn this shade and drop their “heads”, they are ready for harvest. If necessary, the locals call friends and family to the countryside to help out because sowing and harvesting is some labor-intensive work. They cut the rice stalks with a machine or a sickle, bind them together into sheaves and let them dry in the sun on a wooden construction. After ten days, the stalks are dehulled. Normally, harvesters use a machine to cut and bind most of the rice stalks, but I got acquainted with someone who not only grew his rice without fertilizers but also cut all stalks manually. The work is notorious for causing severe back ache. One of the reasons elder Japanese ladies shuffle around with an extremely bent back is said to be because of cutting and binding rice stalks. Toiling in the heat sure is exhausting, and I talk from experience since I helped out with the harvest on the collectively owned rice paddy of Minamaru Kitchen, a community restaurant that only uses local and seasonal ingredients. After dehulling, the produced rice – between 60 and 90 kilos – was bagged and taken to the kitchen. Speaking of Minamaru Kitchen, I really liked the idea of its collective ownership, the many activities that were held there and the entrepreneurial spirit of the co-owners. The main forces behind the Kitchen are pastry chef Sasehara, optician Kawata and Mrs. Matsumoto, the wife of the tea farmer I wrote about earlier. The Kitchen tiess together a network of people with a shared interest in the sustainable development of the community and its small economy. I also attended a couple of lectures there and found myself inspired by new ideas and examples. The picture in the middle shows a bottle of cider (which is a non-alcoholic sparkling lemonade drink in Japan), produced with natural spring water from Kagumeishi hamlet. On one of my last days I went along to tap some fresh water from the source. It is free from any charge and extremely clean, since the water is filtered through untouched mountain land. It is said that the people residing around the source live a long and healthy life – the current inhabitants were centenarians. I met some locals and visitors who came to fill their bottles regularly at such spots because of the taste, high quality and spiritual meaning of the water. In fact, you can often find a place of veneration close to the water source, like a small shrine from stone with gifts in it, to honor the water spirits. Bigger shrines can similarly feature a stream with spring water. I was told there are seven natural water sources in Minamata alone. Besides, there is a residential area called Yu no tsuru 湯の鶴 “crane from hot water” in Minamata with onsen 温泉, or hot springs. Mountains, rivers, forests, villages… Minamata has it all. In short, nature in Minamata is impressive, a view that locals might be used to, but spectacular for Belgian eyes. Life on the countryside is also very distinct from city life, and interesting to dive into. I must admit that this time I experienced quite a culture shock, something that was not the case when I studied in Kobe for a year! I hope this post informed you a little bit about the city of Minamata and life in rural Japan. In the next part, I will describe the things I did and learned during my trips around Kyushu. Till next time! For the course Economic Anthropology last year, I wrote a paper on the relation between the Japanese gift culture and the capitalist market system. In retrospect, I believe this topic might interest my readers, so I have selected and adapted the most informative bits on gift-giving in Japan (and how much money you should spend on it) to share with you on Nippaku. Enjoy! Similar to other gift traditions all over the world, wedding presents make up for an important part of Japanese gift culture, encompassing not only a substantial amount of money but also requiring specific knowledge and skills on how, when and to whom one should present a wedding gift. This happens usually in the form of cash and is at least 10,000 Yen (around 80 euros – I will use Euro as the currency of reference from now on). Close family members are expected to give up to tenfold that amount. The character in Natsume’s novel making the quote stated above, a poor student, is clearly not able to afford an appropriate wedding gift and can, therefore, not comply with social norms. Katherine Rupp (2003), who describes in great detail the complexity of gift-giving in Japan based on her fieldwork observations, immediately points out the economic consequences of this abundant gift culture: “people invest substantial amounts of money in gift-giving. (…) Gift-giving is very important, not only at personal and household levels but on national and macroeconomics level as well. For example, ochūgen and oseibo, summer and winter gifts, provide 60 percent of annual profits of most Tokyo department stores” (p. 1). The economic burden of compulsory gift-giving is felt by many Japanese people and has recently come to complement an erosion of ‘traditional’ gift giving among the younger generation(s). This makes it all the more remarkable that never before, so much money was spent on gifts: The report by the Yano Research Institute (2016) on Japan’s domestic gift market mentions increased retail sales of almost 73 billion Euro in 2015, 102% of gift sales in the previous year. The report further points out that less formal gifts are purchased, and more commodities circulate in the form of casual gifts. Thus, instead of spending money on presents that are linked with obligatory gift-giving, the Japanese now prefer buying presents for their loved ones, less restrained by social conventions. Save for the trending ‘casual gifts’, this so-called ‘formal gift-giving culture’ is related to a rigorous wrapping etiquette, to such a degree that the packaging divulges the occasion. Hence, the content becomes subordinate to the presentation and the act of giving in se – in such a degree that in some, often business-related cases, presents are never opened and passed onto others in a continuous chain of gift-giving. Especially within the industry, business meetings and lucrative transactions go hand in hand with a whole series of gifts and ‘donations’, balancing on the verge of what Westerners would consider as bribery. Physicians usually receive a ‘token of appreciation’ (expensive gifts or a substantial amount of cash) in advance of medical procedures and during winter or summer gift season, challenging the physician with the fact that “the space between a giver’s gratitude and a receiver’s obligation can be narrow and murky” since accepting could unintentionally lead to biased treatment of the patient in question (Takayama, 2001: 139). Again, it should not surprise that all these donations generate enormous economic profit, confirming that “not only do individual Japanese people spend a lot of time, worry, and money on gift-giving, but [that] gift-giving is also a crucial part of the overall workings of the macro-economy” (Rupp, 2003: 2). Below, an overview will be provided of Japanese gift-giving customs and their (economic) significance in today’s society. This matcha baumkuchen won first prize for best Japanese gift last year. Writing my bachelor paper on Japan’s wrapping culture, I familiarized myself somewhat with the complicated etiquette surrounding gift-giving on several occasions, but putting it in practice during my one-year stay there turned out to be a different matter. As an exchange student, I quickly realized how little I had to be concerned with giving adequate presents in Belgium. Luckily in Japan, foreigners, as well as children and young adolescents, are often forgiven in that respect. The wife of a Japanese composer (an elderly couple with a traditional mind-set I acquainted and whom I used to visit regularly), offered me the following explanation, while reluctantly accepting the box of Belgian chocolates I had brought her as a thank you gift for the invitation (temiyage 手土産): “young people do not have much money, so you really shouldn’t have bought that for us. You should just receive the presents from older people until you are earning enough money to treat other people”. It appears that this gift-giving obligation for the Japanese evidently involved a lot of expenses and effort. Below, I give a non-exhaustive overview of the main gift rituals currently performed in Japan and their economic consequences. Catalogue of Japanese presents featuring regional products of every prefecture. Omiyage (お土産, written with the character for ‘earth’ and the character for ‘produce’, thus meaning ‘products from the land’) are souvenirs, usually local foodstuffs such as sweets and cookies that have a connection with the place visited. Every region in Japan has its own specialty (meibutsu名物). Mantell (2012) suggests that the local production of omiyage can contribute to the community’s identity and pride. Because of this link with the travel destination, homemade souvenirs are to be avoided. Upon return, omiyage are distributed among colleagues at the work place and given to family members and friends. In the research office where I had my desk while studying in Japan, foodstuffs were regularly brought in and placed on the shared table, accompanied by a note of the returned traveler offering everyone to serve themselves. Omiyage for sale in Uji. The ‘hunt’ for souvenirs is expensive and time-consuming, certainly taking into consideration that even a one-day trip involves omiyage. As such, some people “hide travel plans from friends and neighbors so as not to have bring back presents from trips” (Rupp, 2003:1). This is especially the case when omiyage are strongly experienced as giri (義理, ‘social obligation’; Krag, 2014: 69), yet souvenirs can also express gratitude and indebtedness for ‘holding the fort’ whilst away, the strengthening of social ties, or a desire to share the travel experience (Park, 2000:86-7). According to the Japanese government’s latest white paper on domestic tourism (2016), the Japanese population spent more than 21 billion euros on shopping alone, which surpasses the travel expenses for food and drinks (p. 251). Although it is not entirely clear how many of the purchased goods were bought as souvenirs and not for own use, Tsujimoto e.a. (2013) point out that in 2010, 72.4% of shopping expenses went to food products that were not consumed during the trip (p. 226), and 97,5% of the goods indicated as omiyage were foodstuffs, mostly sweets. It is customary to pay between 8 and 48 euros on omiyage for each person; Tsujimoto e.a. calculated an average of 47 euros in total spent on souvenirs per trip (p. 238). There are two gift-giving season in Japan, rooted in ancestral offering traditions: during summer in July (ochūgen お中元) and during winter between 13 and 20 December (oseibo お歳暮). These gifts are sent out to personal and business relations such as to superiors, clients, doctors, teachers, landlords and – in a lesser degree – family members, as an expression of gratitude for taking care of them. Again, mostly foodstuffs are given, and similar to omiyage, regional products are popular. Rupp (2003) lists, for example, watermelons, canned fruit, curry sauce, eggplants, cheese and other specialties (p. 29). Household products are frequently sent as well. Important to note is that both gift seasons coincide with the semiannual bonus many Japanese employees receive, amounting to at least two months’ salary (Lebra, 1976: 98). Hence, summer and winter gifts are heavily advertised as slightly more expensive gift sets or basket in stores all over Japan. Online and in most department stores, it is possible to have the gift delivered directly at the receiver’s doorstep, wrapping and gift card included. According to the Yano Research Institute (2016) gift report, ‘casual’ gift-giving has also pervaded the domain of seasonal gifts. As a result, the demand for presents that convey one’s feelings towards close friends and family, has increased, along with the emphasis on the act of ‘giving’ in itself (p. 2). This in contrast to the ‘courtesy’ gifts rooted in tradition that are less frequent today, especially among the younger generation. Nevertheless, due to the increased sales of ‘casual’ gifts, expenses nationwide accrued to almost 8 billion euros for ochūgen, and 6.5 billion euros for oseibo. Compared to the previous years, this is only a ‘slight’ decrease of 30 to 40 million euros. Shopkeepers tend to respond to the demand for more personal gifts by allowing customers to assemble an original gift basket instead of offering pre-packaged gift sets. Full set of Japanese dolls, displayed for the Doll Festival. Among the ‘five seasonal festivals’ (五節句 gosekku), Doll Festival (雛祭りhina matsuri), or Girls’ Festival, and Children’s Day (子供の日kodomo no hi), or Boys’ Festival, bear the most economic consequences. During the former, traditional dolls are displayed on a staircase-like structure every year. As is the custom, these dolls are purchased by the maternal grandparents (if not already in family possession) at the birth of their first female grandchild. Due to the high cost of these dolls (prices for a full set start at 680 euros and go up to more than 10,000 euros), it is not uncommon anymore that other family members chip in as well. The family of the mother is also responsible for presents such as carp banners and warrior dolls for their grandson on Boys’ festival. Yet recently, it has become normal that other relatives and friends give presents as well. Business gifts are more frequent in Japan than in Europe (Mba, 2012). Apart from seasonal gifts, omiyage and New Year cards, it is customary to exchange gifts at the end of a (first) business meeting or on formal occasions. The value of the gift mirrors the company’s hierarchy: high-ranking employees receive the most expensive items (Alston & Takei, 2005: 55). Business gifts are elaborately wrapped items that are never opened in presence of the donor. Underlying these gifts is a complex etiquette, defining how the gift should be presented, what items are to be avoided and how the gift should be received in an appropriate manner. For those who want to play it safe, department stores and high-end chains promote a series of commodities in varying price ranges as ‘ideal’ business gifts. Shintō ceremonies (e.g. purification of a house) involve offerings to ancestral spirits, and cash money given to the officiating priest. These offerings include sake and food such as rice, fish and vegetables (Rupp, 2003: 13). When visiting a Buddhist grave, incense and flowers are often placed on the stone. In traditional households where ancestors are daily commemorated by means of a small altar or shrine in the house, ‘unusual’ specialty food are offered first to the ancestors. The food is placed on the shrine and “when the ancestors have finished (Smith, 1974: 136)”, it is removed and eaten by the family. On Japanese New Year’s Day (oshōgatsu お正月), it is common to offer traditional food such as sake and soup with rice cakes first to the ancestors. During the religious observances of ohigan (お彼岸, equinoctial Buddhist services lasting one week in Spring and Fall) and obon (お盆 festival to honor the ancestors’ spirits, held in July or August), the Japanese return to their hometowns and visit family graves. They bring along food for ancestral offering (often luxury fruits such as melons, but also wine and sweets, depending on the culinary preference of the deceased) which is afterwards consumed during the family meal. By doing so, they are permeated by the power of the spirits (Rupp, 2003: 127). Since ancestral offerings and the dinner celebrations connected to these often involve ‘unusual’ or luxury foodstuffs, prices are evenly extravagant. People pay easily up to 100 euros for a gift melon. Incense and flowers are sold as expensive obon sets, yet there is always a choice between a wide range of prices. Despite the fact that less than 1% of the Japanese population considers itself a Christian, Christmas is a well-celebrated occasion, albeit a non-religious version adapted to Japanese culture and society and especially among younger couples. Contrary to Belgian habits, Christmas Eve in Japan is reserved for lovers, while New Year’s Eve is spent in company of family members. In families with young children, toys are sometimes given, but never to adults (Rupp, 2003: 144). Christmas decoration, on the other hand, is widespread. ‘Imported’ celebrations such as Christmas and Valentine’s Day (cf. infra), revolve around excessive advertisements, high consumption and a (rather Western) portrayal of romanticism. It is common for a couple to go on a date to a high-end restaurant, exchange luxury goods such as jewelry, scarves and handbags for women, and watches, wallets and pens for men, and spend the night at an expensive hotel. The standard Christmas meal at home is fried chicken and a strawberry cream cake, which has to be pre-ordered months in advance due to its popularity. Note that, in contrast to traditional celebrations, food consumed on Christmas is almost never homemade and thus store-bought. The popularization of Christmas from the 1930s on, was a commercial opportunity for stores to extend sales after the oseibo boom. Papp (2016: 67-68), referencing a report by Ishii, mentions that in post-war Japan, Christmas was seen as a symbol of modernity, and hence as a shortcut to ‘happiness’, generated by industrialism and consumerism. Another point worth mentioning is that, in most cases, men pay for the whole evening and always give a present to their wives or girlfriends, while women are not ‘obligated’ to give something in return (cf. infra). This indicates a break with more traditional gift-giving customs. Also introduced in post-war Japan, February 14th is a celebration that mirrors the Western tradition, but has its own Japanese interpretation. Different is that Valentine gifts are exclusively chocolate, are presented only by women, and are not solely given in a romantic way. On the contrary, only a small part of the chocolates is given to loved ones. Valentine’s Day was launched by a chocolate manufacturer and became a nationwide celebrated holiday by the 1970s (Rupp, 2003: 146). It was promoted as the only day women could express their love, and the fact that in other Valentine-celebrating countries men also gave presents, somehow got lost in translation. As a result, Valentine’s Day today is more about boosting men’s confidence than about romance. Minowa e.a. (2011: 52) speak of the “gender asymmetric nature” of the Valentine Day’s gift-giving ritual. Although a recent and foreign gift-giving tradition, Valentine’s chocolate quickly incorporated ‘traditional’ elements such as a connection with giri, or social obligation (Davis & Ikeno, 2011): women in the workplace and at school felt obliged to give their co-workers and superiors Valentine’s chocolate in order to avoid accusations of favoritism (Buckley, 2009) and to preserve harmonious relationships. This type of chocolate, often store-bought and less expensive, is giri choko. When the gift is meant to convey a feeling of affection, it is called honmei choko (本命チョコ ‘favorite chocolate’). These chocolates are far more expensive than giri choko and in some cases homemade (DIY-kits are also sold at stores). Recently, women have started to hand out tomo choko (友チョコ‘friend chocolate’) to their female friends. This year’s Valentine’s Day generated 1.1 billion euros of revenue (3% more than last year), with most chocolate companies earning half of their annual sales in February (Japan Times, 2017). A Japanese woman spends around 80 euros on Valentine chocolate every year. White Day on March 14th is the male response to Valentine’s Day and originated in the 70s as a commercial stunt by the National Confectionery Industry Association to boost sales in the month following February. Originally it was launched as Marshmallow Day, but marshmallows turned out to be an unsuccessful product and the name was changed. On this day, Valentine gifts are reciprocated in the form of white presents: white chocolate, candy, handkerchiefs, flower, cookies, jewelry and underwear (acceptable even for work relations). Rupp (2003: 149) points out that many men do not make a return gift, and in the case of giri choko, it is the wife of the Valentine’s recipient that concerns herself with providing the office women with White Day presents. These gifts are usually at least twice as high in value than the original gift, yet sales are not as high as for Valentine’s Day. As will be explained later, not returning a gift or returning twice the amount would be inappropriate in other gift-giving settings, but ‘hybridized’ holidays allow for divergence of standard norms. From the 1970s on, Mother’s Day and Father’s Day as ‘imported’ holidays have been celebrated in a similar fashion as in the West. Department stores anticipate this gift-giving by putting specific items on display. In 1966, Respect for the Aged Day was introduced on 15 September, today celebrated in the third week of September. The elderly receive gifts from their relatives such as flowers, clothing and food. It has been a custom for the government to present centenarians with silver sake cups on this day, although last year it was decided to send out cheaper cups, since silver ones for the more than 65,000 centenarians proved to be too costly to manage (Japan Times, 2016). It is indicative that for ‘imported’ gift-giving traditions, the word purezento (プレゼント, the Japanese pronunciation of the English word ‘present’) is used rather than Japanese words for ‘gifts’ such as okurimono (贈り物). Purezento bears a more individual and western connotation and is less formal. Today in Japanese society, many people prefer to give more personalized items to close friends (the so-called ‘casualization’ of gift-giving) instead of gifts that are rooted in social obligation. For example, only sending Christmas gifts and not oseibo (Rupp, 2003: 145). As was touched upon in the introduction of this blog post, wedding gifts mainly consist out of money. The decorated envelopes (shūgi-bukuro 祝儀袋) with cash – new bills – are handed over at the reception desk, specifying whether it is for the groom or for the bride, or are delivered at home in case the giving party is not invited to the wedding or cannot attend. The amount of money should mirror the relationship with the recipients, as well as the wealth status of the donor. College friends and neighbors, for example, give around 160 euros, family members usually give more. Special envelopes with tied cords in auspicious colors are purchased for the occasion. Since a considerable amount of gift money as compensation for costs can be expected, “this custom (…) has led to more and more extravagant receptions, all to the delight of the companies that sell wedding packages and the luxury hotels where such receptions are often held” (Mak, 1998: 30). Indeed, the Japanese wedding industry, including the many return gifts that are sent to all guests (cf. infra) is worth 20.1 billion euros today (Yano Research Institute, 2017). ‘Incense money’ (香典kōden), ranging between 24 euros and 800 euros per person, is given at funerals or wakes in special envelopes (Suzuki, 2000: 84). In contrast to the crisp new bills presented at a wedding, incense money should be old. Again, the amount of money is dictated by relationship and status. For more traditional wedding gifts as well as funeral gifts, the gender of the recipient or deceased plays a role: less money is given in the case of a woman. Mourners additionally send white flowers with their name attached. The incense money covers only around half of the funeral costs, since return gifts are made to every donor. Annually, roughly 2.7 billion Euro is spent on ceremonial gifts at funeral services (Karan & Gilbreath, 2005: 176). Small traditional gifts often have a symbolic meaning. It is customary, for instance, to present new neighbors with long, thin noodles since these symbolize longevity. Boxes with noodles especially for such occasions are sold at department stores and are differently wrapped and priced than noodles purchased for own consumption. Noodles in their plastic supermarket wrapping would also be inappropriate for ochūgen, for example. As a betrothal gift, a set of store-bought items that symbolize good luck, longevity and good health, often accompany an envelope with around 8000 euros from the groom’s family – or around three times his monthly salary (Rupp, 2003: 86-88). New Year cards (年賀状nengajō) in auspicious colors depicting the Zodiac sign of the new year are sent out to relatives, friends and teachers but also to co-workers and business connections. New Year’s presents from parents to children (otoshidama お年玉), on the other hand, is a sum of money and must be given in a special envelope. It may appear that gift-giving in Japan always calls for an occasion, but susowake (すそ分け‘dividing the edge’) is one type of gift purchased simply because the other might like or need it, and has no symbolic meaning attached. Hence, there is no social obligation to return (Rupp, 2003: 29). Technically, every gift should be returned with a counter-gift of half its value. Returns in cash are inappropriate, even if the original gift was money (Rupp, 2003: 192). How much a gift costs, can be estimated from the wrapping that has the name of the shop on it where it was purchased. Some high-end department stores are famous for carrying expensive gift items, and often where a gift comes from tells more about its value than the actual contents. Traditionally, gift-giving is the task of the wife and she, herself purchasing gifts frequently, has gained the knowledge to estimate its value and reciprocate in a fitting manner. To make things easier, department stores stick code tags on gifts that tell you its worth. 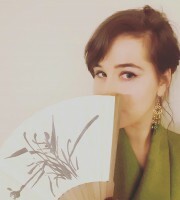 It might be surprising that today as well, Japanese women are the ones responsible for the year-around exchange of gifts, but seeing as how Japanese gender norms are still solidly entrenched in contemporary society – distinctly more so than in the West – gift-giving continue to be a woman’s job. Rupp, too, describes some situations in which wives, never husbands, were blamed for an ill-chosen gift. At weddings and funerals, attendees and those who sent money in advance receive a bag full of return gifts. For weddings these include auspicious food, long-lasting objects, souvenirs of the happy event and sometimes an envelope with money that covers the transportation cost for people who come from far away. Additionally, newly weds spent a lot of time and money during their honeymoon gathering more return gifts. For funerals, traditionally salt, sake, sugar, objects made of thread and other items for purification are bagged. Although estimated to be half of the value of the cash gift, some people end up receiving more than they have given. In some regions, return gifts for incense money are only reciprocated after a certain period of time, and are calculated to match half of the value of the presented cash. Nevertheless, there are exceptions: return gifts for birth presents are only half to one-third the value of the initial gift. Matchmakers (the couple through which the wedding was arranged) are lavished with more return gifts and money than any other person. White Day, serving as a reciprocity opportunity, prescribes that men, if they do give something, return gifts of at least twofold the Valentine gift’s cost. Rupp (2003: 150) points out that this reaffirms men as the superior party in their relationship with women. In fact, all ‘imported’ holidays have to be seen outside the framework of traditional gift-giving and return gifts. Christmas gifts, for example, are not reciprocated. This was a short overview of the most common types of gift-giving in Japan. I think we can conclude that the Japanese give a lot of presents on many occasions and that a lot of money is spent in the process. Yet, it strengthens relationships and is a crucial part of Japan’s social landscape.